Kidder, of course, had long since perfected the thrust-action typewriter. 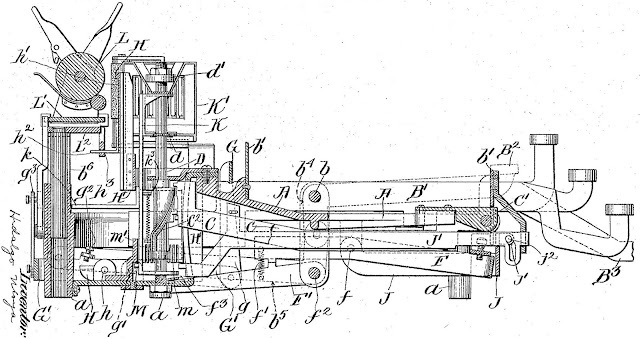 In April 1894, with the Wellington thrust-action machine still to reach the marketplace (it would do so the next year, to be followed by the Empire), Kidder moved on to his next project and applied for his first patent for a “noiseless type-writing machine”, one which would employ a “a new toggle-joint connection for a type-carrier and key-lever”. 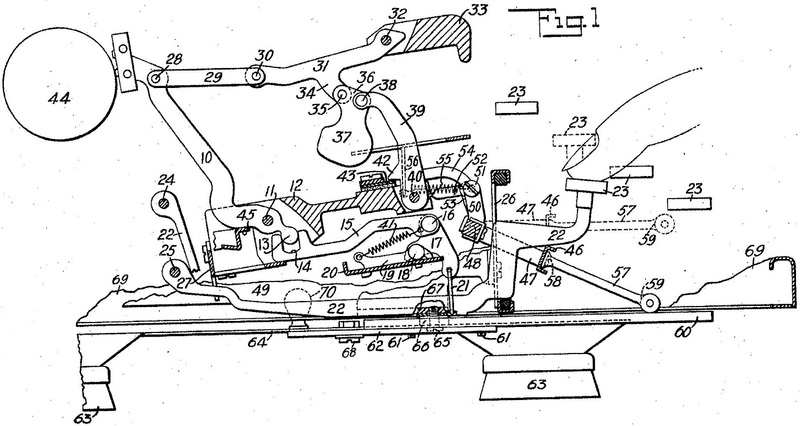 But over the next 11 years, Kidder was unable to perfect the machine. So in 1905 he called in help. In Sponsel, he found a highly-skilled precision engineering partner as he sought to attain his ultimate typewriter goal. 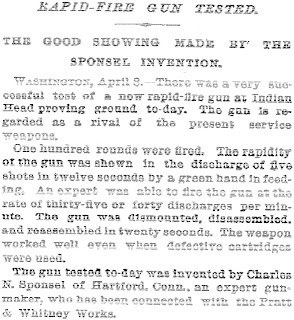 Sponsel had worked for Pratt & Whitney in Hartford, where he had invented the rapid-fire gun and the rifle magazine, among other things. After working with Kidder, he turned his attention to one of the earliest automobile reverse gear mechanisms. 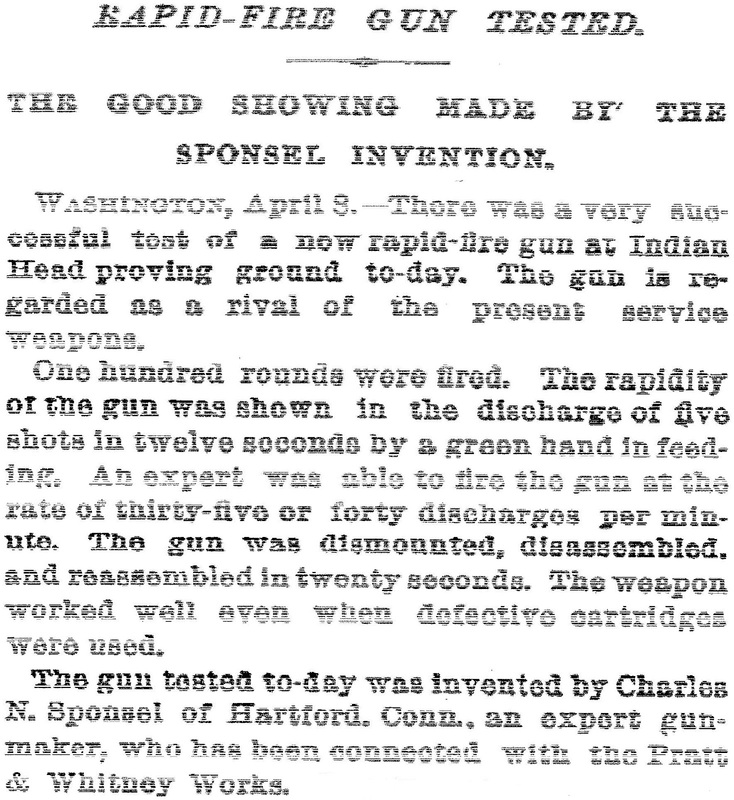 Sponsel, who was born to German parents in Walpole, New Hampshire, in March 1861, died in 1931. Kidder was eight years his senior, having been born on February 19, 1853, in Norridgewock, Maine. Hitherto, Kidder and his long-standing Canadian backer Charles Carroll Colby have been given all the credit for the Noiseless. 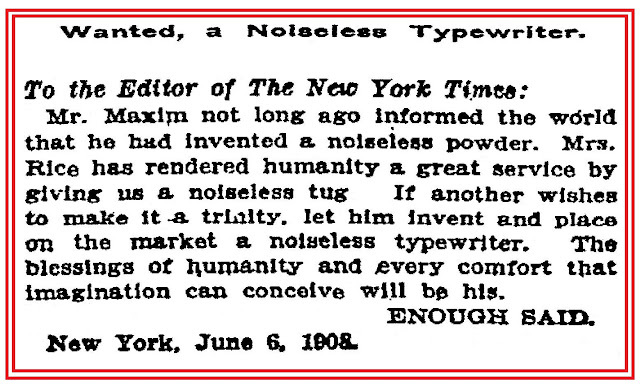 Colby had in fact died eight years before the first Noiseless was made, in 1915. Only passing reference has been made to Sponsel - in an extensive entry on the Noiseless in The Typewriter: History & Encyclopedia (1924). Kidder and Sponsel are among seven men mentioned as having been contributors in the development of the Noiseless, but the author – so effusive about the Noiseless it could well have been Kidder himself – admits there were others. One name missing from that list of seven is that of Canadian-born George Gould Going. Courtesy of Georg Sommeregger. See his Remington Noiseless web page here. 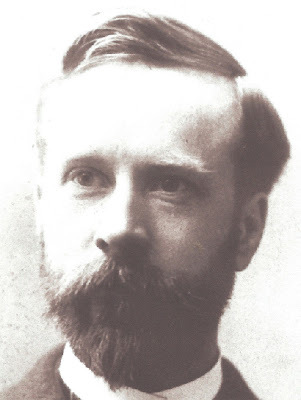 Going was one of the relatively younger men in the leading group, along with the naturalised Swedish-born Nils Hjalmar Anderson, the one credited by History & Encyclopedia with inventing in 1912 the typing action which finally made the Noiseless a feasible proposition. 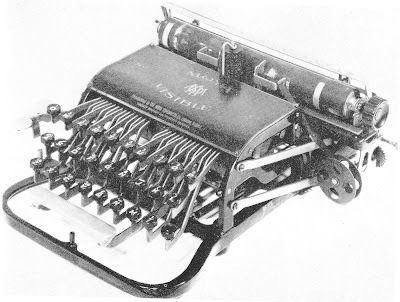 Going was to invent the double-headed typeslug arrangement, which Georg Sommeregger so kindly here demonstrates for us on a Remington Noiseless on his typerwriters.ch web page here. 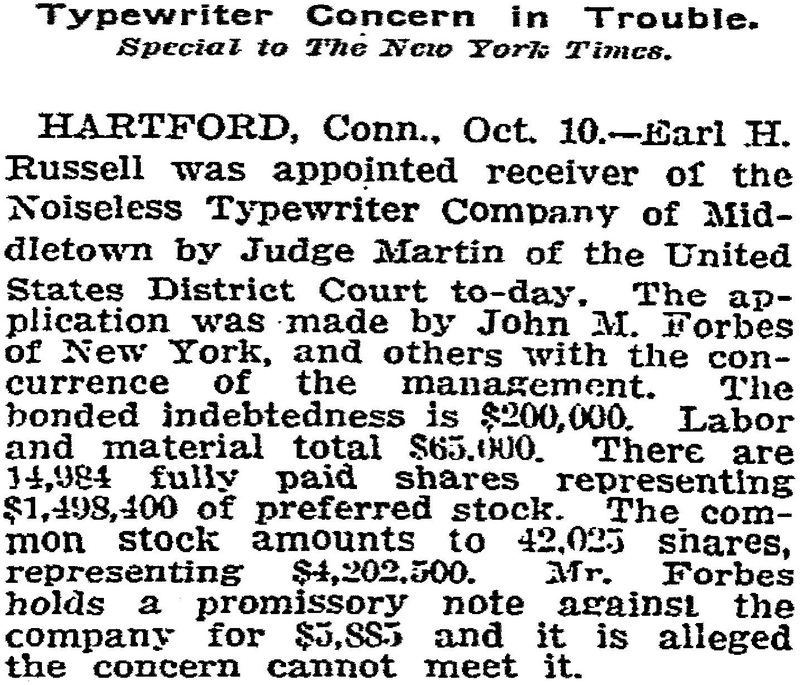 My excuse for running this story is the above Going patent for the Noiseless type action, for which Going filed an application on this day (September 28) in 1923. 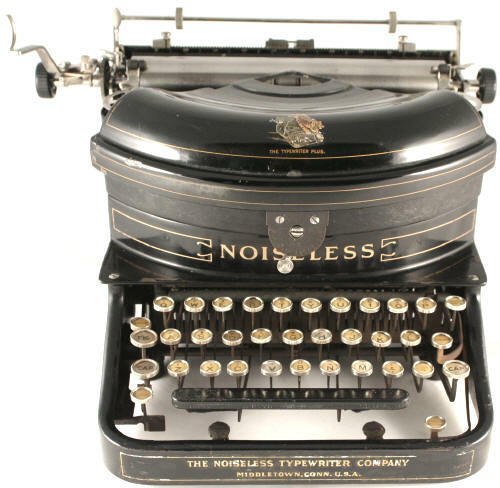 It was subsequently assigned to Remington Noiseless. History & Encyclopedia does go on to say Going deserved “Much credit for improvement in design during the period of the present company [1908-1923]." At the time of the Noiseless company’s establishment, Going, then a 36-year-old, was working independently with another leading figure in the subsequent development of the Noiseless, John Anderson Ruffin. 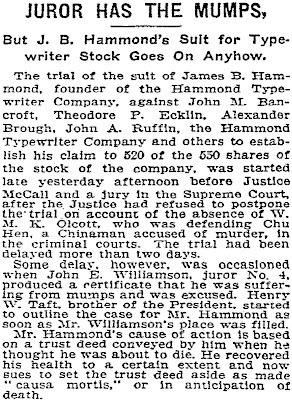 Ruffin had been a designer and director with Hammond, until he became embroiled in a legal dispute with James Bartlett Hammond over Hammond, thinking he was about to die, issuing a deed trust, handing control of the Hammond company to Ruffin and others. When their own typewriter enterprise failed to produce a machine, Ruffin and Going joined Noiseless, in 1916. 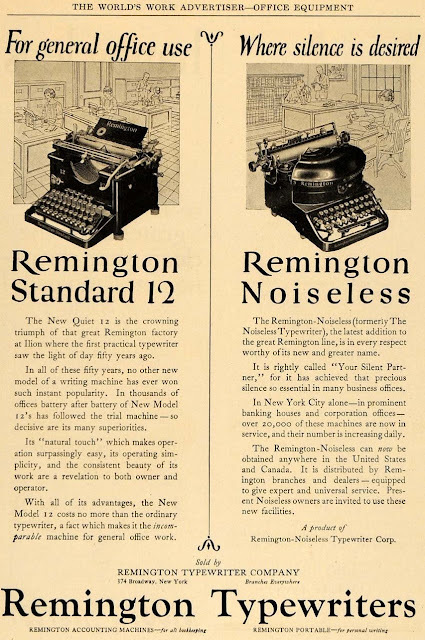 When Noiseless “joined forces” with Remington on January 30, 1924, creating the Remington Noiseless Corporation, a subsidiary of Remington, Ruffin was works manager and Going chief engineer of Noiseless. Going held his position in the new corporation and continued to work for it after it sold out to Rand Kardex Bureau on July 11, 1927. 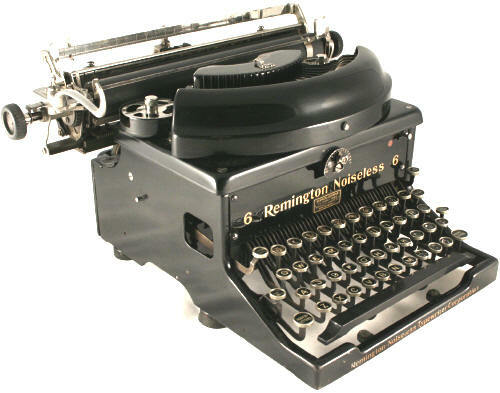 Going was still working for Remington Rand into his late 60s, in the early 1940s, by which time his position was “research engineer”. 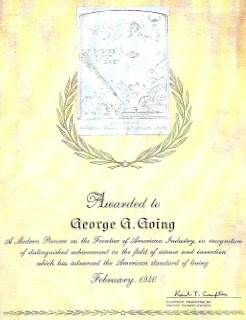 In 1939 Remington Rand boss James Henry Rand Jr decided, with Going’s retirement impending, to press Dr Karl Taylor Compton, president of the Massachusetts Institute of Technology, to recognise Going’s efforts over almost 30 years – in the form of a National Association of Manufacturers’ long-service certificate. 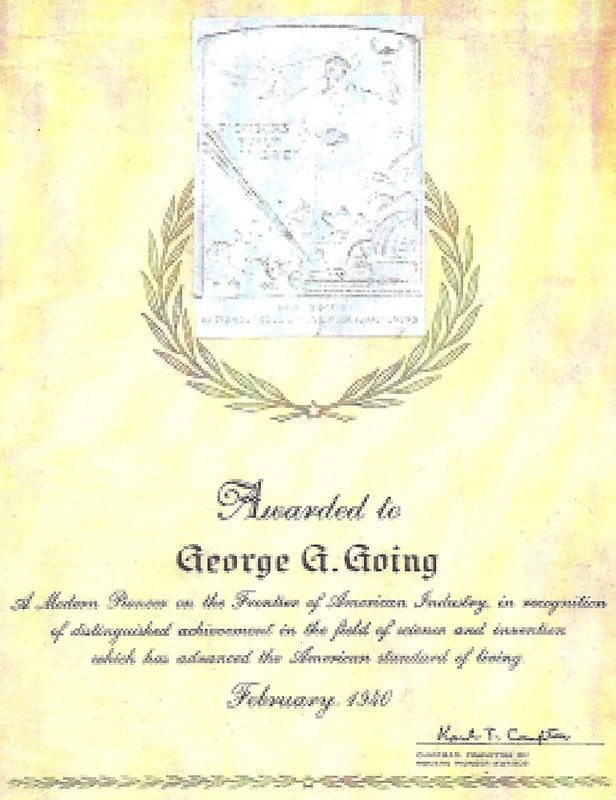 The award, made in February 1940 in Hartford, Connecticut (Going was still working out of Stamford), honoured Going as a “modern pioneer on the American frontier of business”. George Gould Going was born at Tillsonburg, Oxford South, Ontario, on June 15, 1872, the son of an Irish-born vicar, the Reverend Augustus Henry Going and his English-born wife, Clementina Murray Going. 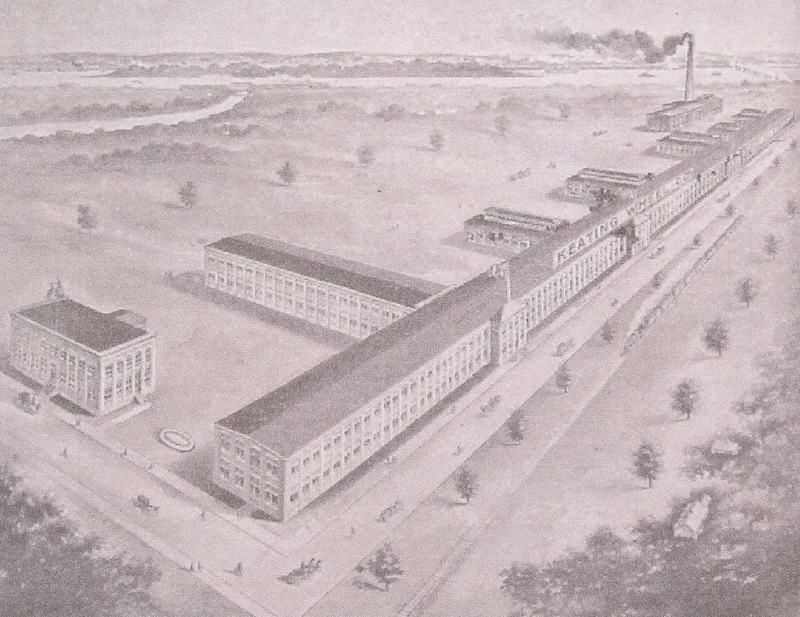 In much later life, when George Going was claiming to have been New York-born, it was stated that his father had run a floor mill near Buffalo. This seems highly unlikely to be true. George Going was still living in Ontario in March 1901, at almost 29 years of age. But he had moved to New York City by March 1909, when he linked up with Ruffin. According to James H.Rand’s nomination for Going for the NAM award, Going, “as a boy, observed effects of vibration in his father’s flour mill and that led to his making vibration problems a hobby and life study. From boyhood he [was] afflicted with the ‘itch to make things’. After high school, rejecting his father’s advice to study medicine, he apprenticed himself to a watchmaker. 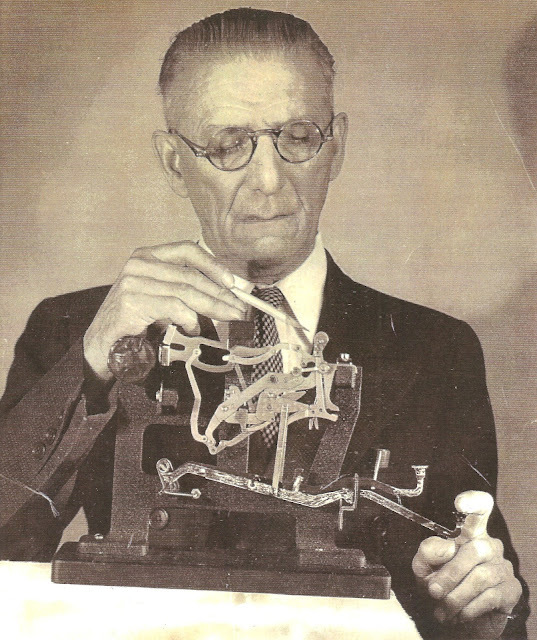 Self-educated from that point on, he became a skilled mathematician and versatile engineer.” Rand went on to say Going abandoned watchmaking “for the then almost unexplored writing machine field, which challenged his pioneering instincts. His associates recognise that besides having mastered control of vibration, and with it control of noise, he has in many other ways advanced tremendously the utility of writing machine.” Rand goes on to make claims regarding the socio-economic impact of the Remington Rand Noiseless typewriter, calling Going an “inventive genius”, a “quiet, brilliant worker with extraordinary patience”. Much of this is rather fanciful stuff which doesn’t match what we know of the reality of Going’s early life. Nonetheless, that he was a hugely skilled mechanical engineer is beyond question. In bringing to light Rand’s citation for Going, through his grandson Patrick Going, ETCetera co-editor Rich Cincotto (September 2005 issue, No 71), concluded that Going was “quite an instrumental figure in the success of the Noiseless typewriter … who deserves a bit of recognition!” But by the time Going died, in Stamford on December 4, 1954, that recognition was far from widespread. Alan Seaver's Remington Noiseless 6 with the top plate off reveals a normally hidden side of George Going's work. See Alan's web pages at Machines of Loving Grace. 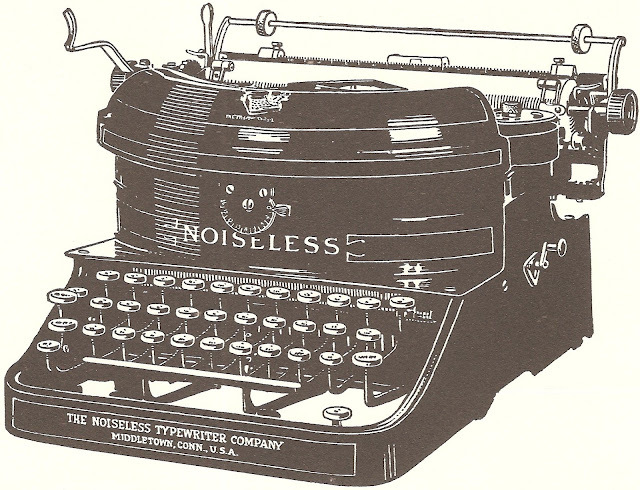 Noiseless from the Alfred R. Wepf Collection. At this point, let’s go back to the beginning to trace how this machine came to be. 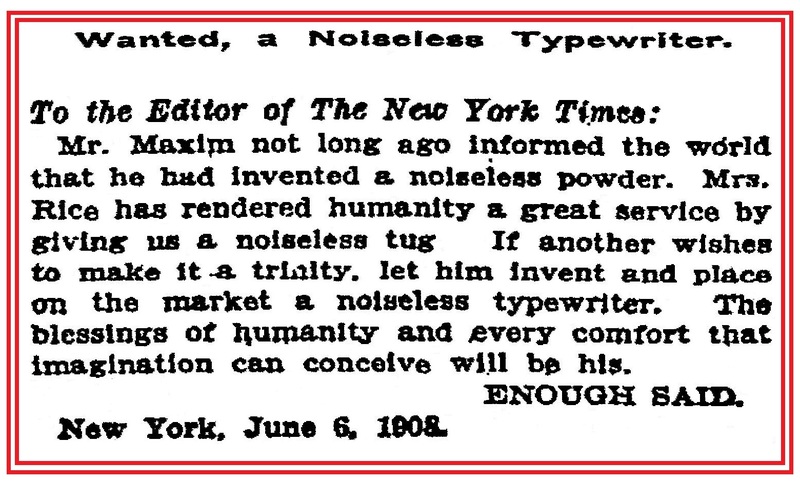 This letter published in The New York Times on June 7, 1908, clearly indicates there was market out there for a Noiseless typewriter. Could it possibly have been written by Kidder? 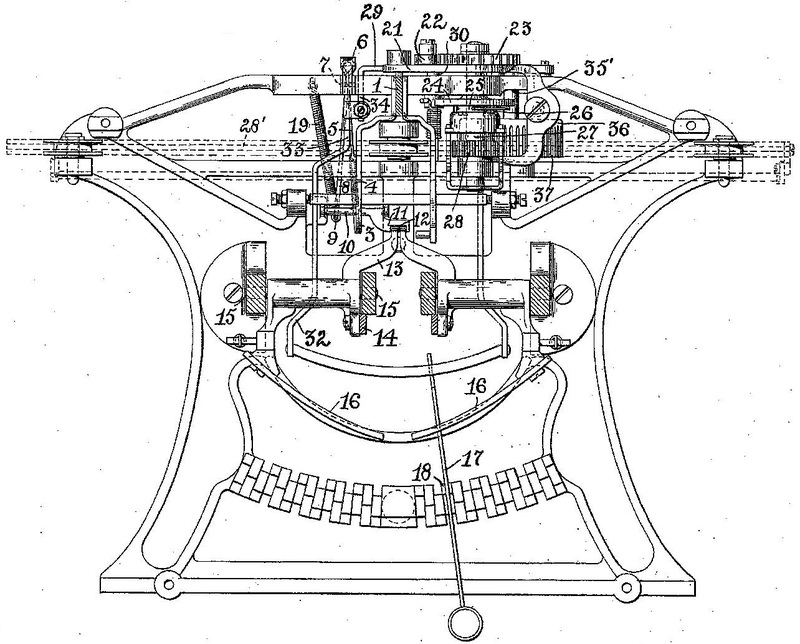 The first four of eight Kidder-Sponsel noiseless typewriter patents were assigned to the Parker Machine Company of Buffalo, one of many typewriter-producing organisations established by Kidder (in this case, one adopting his middle name). Buffalo was chosen because of Kidder’s association with George Edward Matthews (1855-1911), of J.N.Matthews Co and Matthews Northrup Works, owners and publishers of the Buffalo Express, which used Kidder’s 22-ton rotary web press. 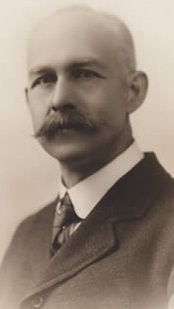 Although he leaned toward the Republican side of politics, Matthews, in turn, was able to enlist the backing of leading New York financier and Democratic Party member William Caryl Ely. Yet three years before Matthews died, aged 56, following his daughter’s wedding on June 11, 1911, the Parker Machine Company had preceded him, consigned to the grave. Since the Parker company hadn’t built a factory or expended any working capital, this was no crippling loss to the enterprise. Instead, Kidder had simply established two new companies to take its place. 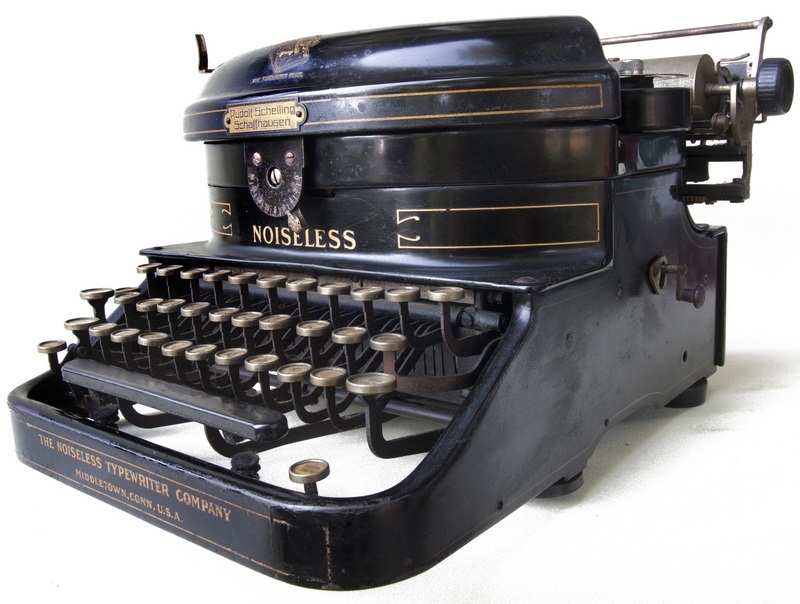 The first was the Silent Writing Machine Company of 1908, which became the Noiseless Typewriter Company with incorporation in 1909. Ely was its president. Ely was described on his death, on December 15, 1921, aged 63, as the “organiser and builder of railways and power companies”. Born on February 25, 1856, in Middlefield, New York, Ely graduated from Cornell and practised law. The new company was based in Middletown, Connecticut. A factory had been built on Johnston Street, Middletown, by the Keating Wheel Company in 1896. The plant was taken over by the Eisenhuth Horseless Vehicle Company in 1901, but had sat idle for 15 months, since March 1907. Buffalo had been almost “half-way house” between Kidder and his principle backer, Charles Carroll Colby in Stanstead, Quebec. 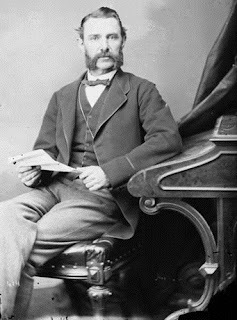 Colby, born in Derby, Vermont, on December 10, 1827, was a lawyer, businessman and politician. 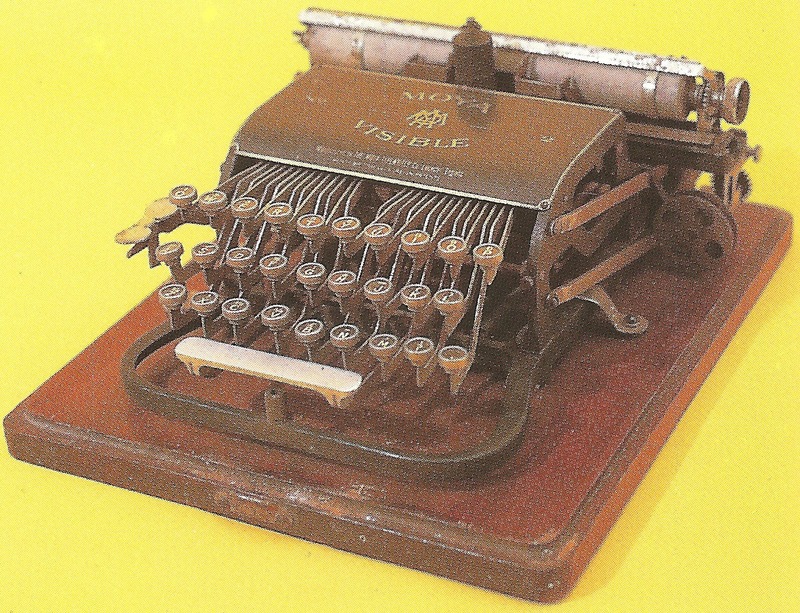 He first met Kidder in 1892 and for the next 15 years seemed to have bottomless pockets when it came to financially supporting Kidder typewriter projects. Kidder and Colby had settled on the Noiseless undertaking at a conference in late 1896, more than two years after Kidder had first patented the idea. Kidder devoted the next eight years to producing models of “a pressure-printing machine which had its structural basis in toggle-cam action”. 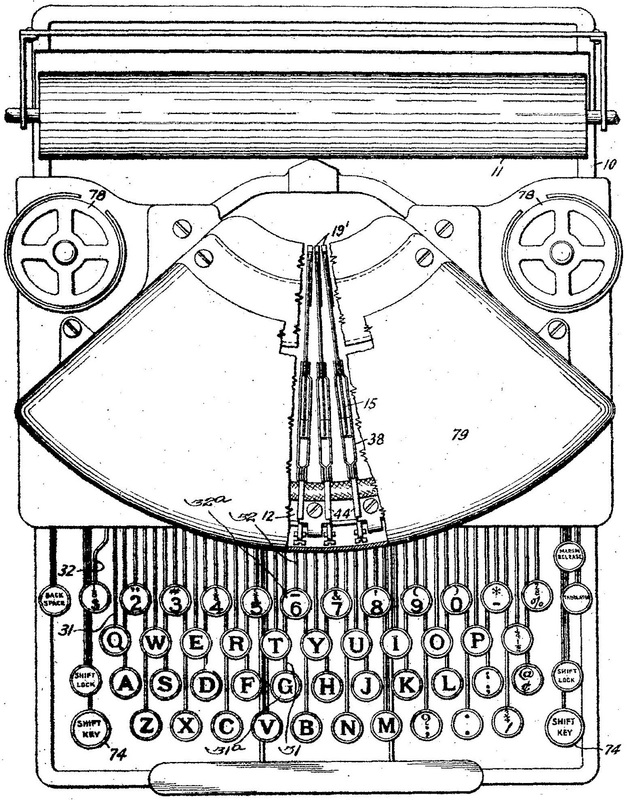 In doing this Kidder, whose earlier interest had been in printing machines, was attempting to align the typewriter action much closer to printing techniques. 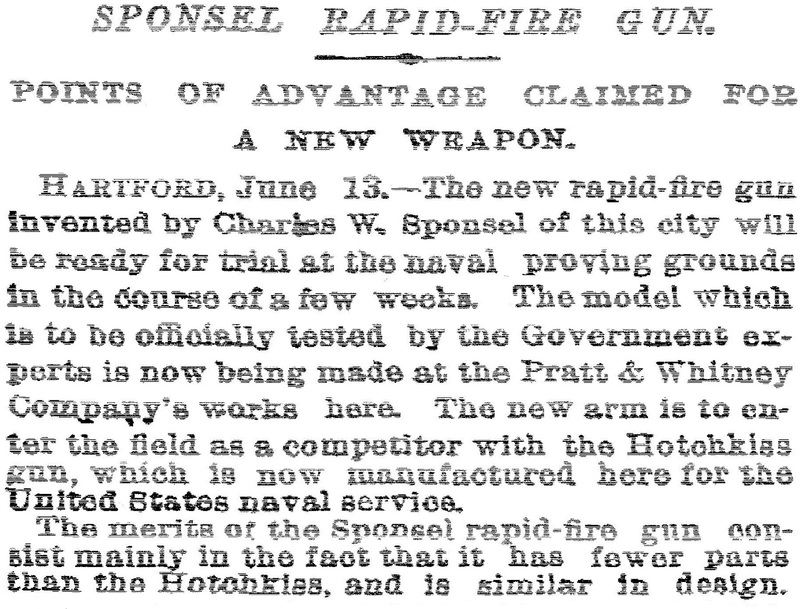 But he encountered mechanical difficulties, and in desperation called in the services of Sponsel in Hartford. 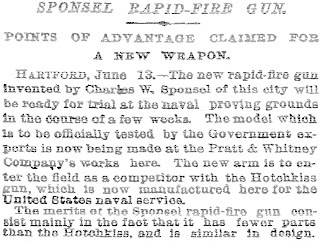 Also, an Italian citizen, Joseph Albert Ronchetti, based in Woonsocket, Rhode Island, was recruited to work on the ribbon mechanism. As well as the mechanical problems, there were mounting financial costs, heavily compounded by Colby’s death in Montreal on January 19, 1907. 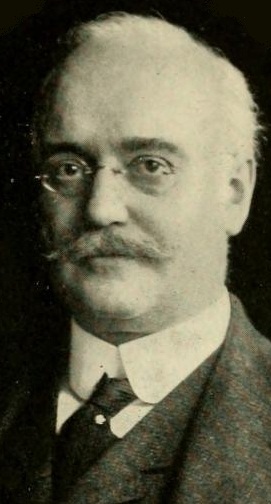 Kidder and Colby had been among the leading shareholders in the Parker company, which had spent $500,000 by 1909, almost all of it on experimentation. Kidder still had little to show for it, certainly nothing in the way of a typewriter. Courtesy of Richard Milton. See his Noiseless web page here. 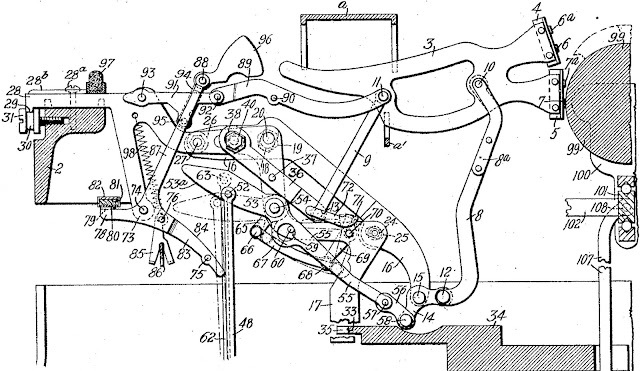 Once the Noiseless company was formed, the existing Kidder-Sponsel patents were assigned to it, along with those of Ronchetti. Indeed, a vast team of mechanical engineers and designers was assembled to further the initial work of Kidder and Sponsel. The team was headed by the Swede Nils Hjalmar Anderson, John Anderson Ruffin and George Gould Going. Nils Hjalmar Anderson was born in Hagfors, Sweden, on August 31, 1881. He immigrated to the US in 1892 and became naturalised in 1905. 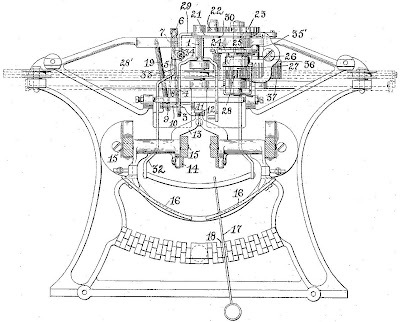 Eighteen of Anderson’s patents for typewriter or typewriter-related designs were assigned to Noiseless over a period of 11 years, from 1908-1919. After leaving the employ of Noiseless, Anderson described himself as an unaffiliated machinist and machine designer. He died on February 9, 1958, aged 76. Wim Van Rompuy Collection. See his Noiseless web page here. John Anderson Ruffin (born Memphis, Tennessee, September 1866; died about 1927) had previously patented typewriter designs for Hammond and was one of the Hammond directors and shareholders sued by James Bartlett Hammond in June 1910. Hammond had thought he was about to die and had issued a trust deed handing over 520 of his company’s 550 shares to directors and staff members. When Hammond realised he wasn’t dying, just yet, he took legal action to set the deed aside, for the time being, as “causa mortis”. Hammond died in 1913, by which time Ruffin had struck out for independence with Going (they designed their own typewriter in 1909). This pair then went on to work for Noiseless, with Ruffin ultimately becoming works manager and Going chief engineer. Others in the Noiseless team were William Albert Lorenz and Edward Henry Lorenz, Edward J. Sheehan (later sales manager), Ernest Burke Bishop, Edward Lewis Center Clark, Daniel Bror Westin, Robert S.Blair and yet another Swede, Otto Hultgren. Technical problem solved, financial problems unsolved. On December 18, 1913, a reorganisation plan of the bondholders fell through and the company was dissolved and reincorporated itself with the same name in June 1914. 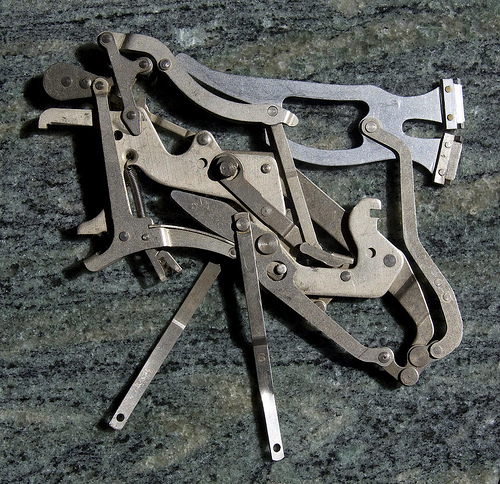 The making of tools started that month and continued to March 1915. In the last nine months of 1915 fewer than 500 machines left the production line. But the Noiseless was at last on its way, albeit somewhat gingerly. 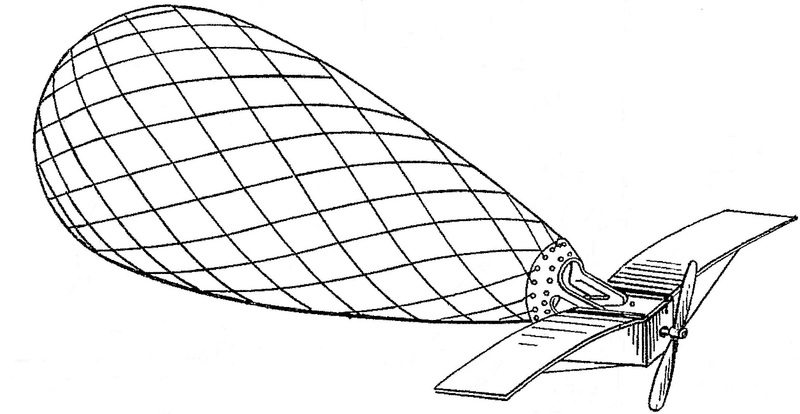 In 1916 a larger version was tentatively introduced, and 10,500 were made. 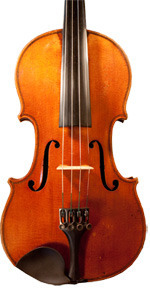 Then at the start of 1917 the No 4 model emerged, the Noiseless in its “first fully commercial and satisfactory form”. Just 700 were made in that first year, but the production numbers steadily rose: 4000 in 1918, 7000 in 1919, 11,000 in 1920 and 16,000 in 1921. A Model 5 followed in 1922, with 8000 5s sold until the end of 1923, along with 7000 4s. By this stage George Gould Going was chief engineer, but from 1921 his efforts had been concentrated on the magnificent Noiseless portable, which reached the market in November that year. With the Noiseless in both standard and portable sizes on the market, and with Colby’s son, Dr Charles William Colby (1867-1955) at the helm of the company, the future looked very rosy indeed. 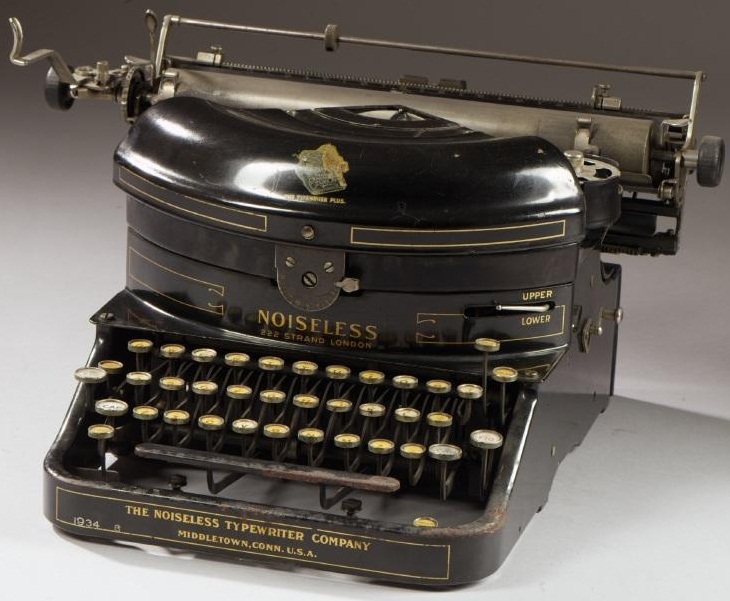 In June 1923 that impression seemed to be confirmed when the Franklin Institute awarded the 1922 Edward Longstreth Medal to the Noiseless company “for inventions and improvements embodied” in the typewriter. Noiseless’ complexion must have appeared extremely rosy to Remington, too. 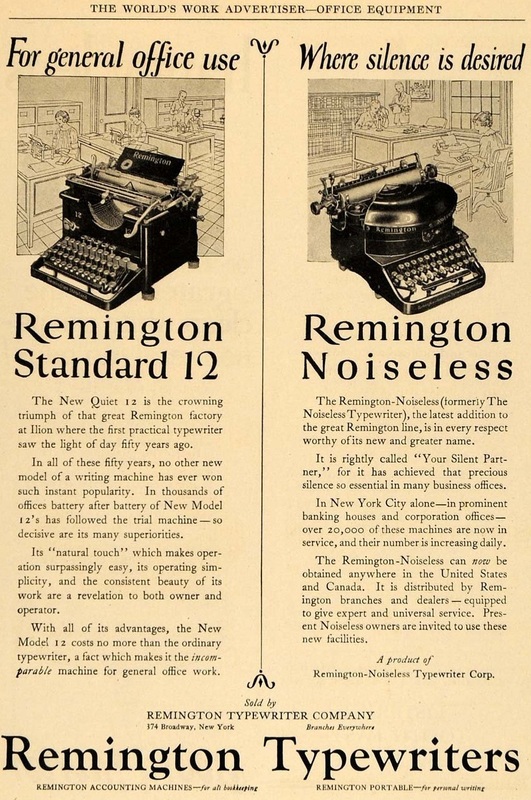 At the end of 1923 Remington courted Noiseless and on January 30, 1924, the two companies agreed to join forces. Officially it was not a takeover, and production remained in Middletown. Yet the new company became known as the Remington Noiseless Corporation, and it was mere subsidiary of Remington proper. 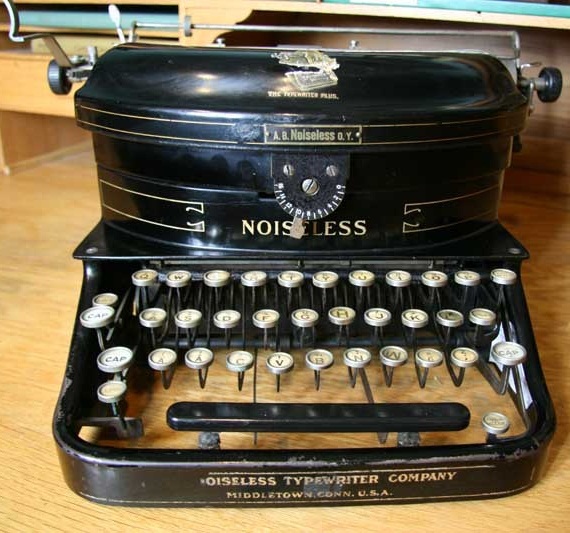 Remington Noiseless pretty soon dropped the Noiseless portable, having other ideas for a noiseless portable, while Noiseless’ No 6 standard model appeared as the Remington Noiseless. Remington stated the merger had put it in a position of “unquestionable supremacy” in meeting the typewriter needs of every user throughout the world. Wim Van Rompuy Collection. 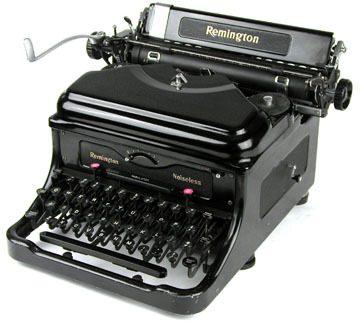 See his Remington Noiseless web page here. Wellington Parker Kidder lived to see all this, but his mind was elsewhere, preparing the last of his eight patent applications for a new portable. In 1919 Kidder had diverted his attention yet again, this time to the Rochester, one of those would-be typewriter treasures that never saw the light of day. 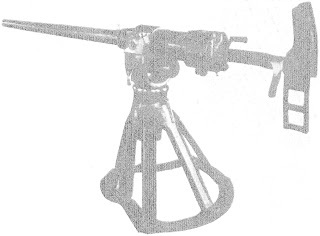 As the Noiseless experience showed, Kidder was not a man to give up on anything lightly, and with the Rochester portable he set out to prove the cam type action, which had failed on Noiseless, could still be made to work. But he had no choice about giving up on the Rochester – he died at Easton Town, Bristol, Massachusetts, on October 2, 1924, aged 71. 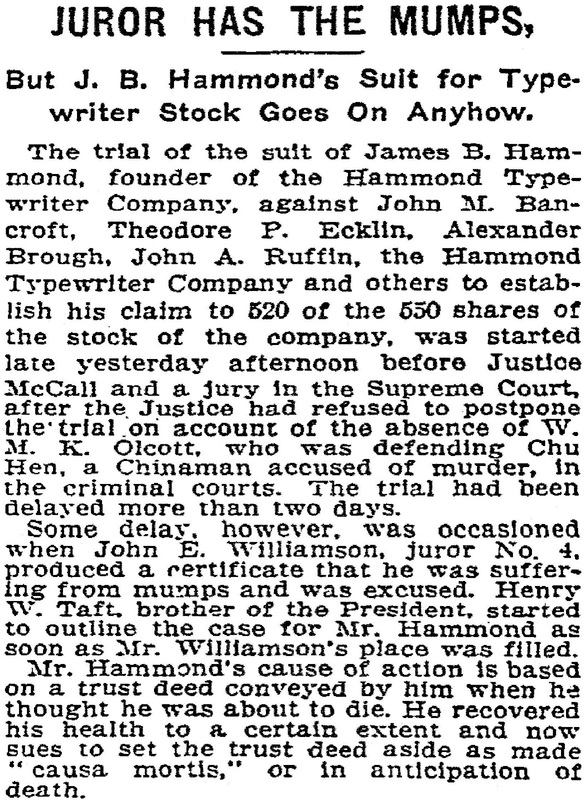 Noiseless stockholders may have had to accept the merger with Remington, but on July 11, 1927, some of them were far less than impressed by the way their shares had been devalued in Remington’s decision to sell out to Rand. James Rand Jr's American Kardex Company had merged with the Rand Company on April 1, 1925, as the Rand Kardex Company. Three months later Index Visible was merged into the joint organisation. Another four months on and Rand Kardex Company and Library Bureau merged, to form the Rand Kardex Bureau. Then on January 1, 1926, the Safe Cabinet Company was also merged. In 1927, Remington was engulfed into Rand Kardex Bureau Inc, followed by the Dalton Adding Machine Company and the Powers Accounting Machine Company. 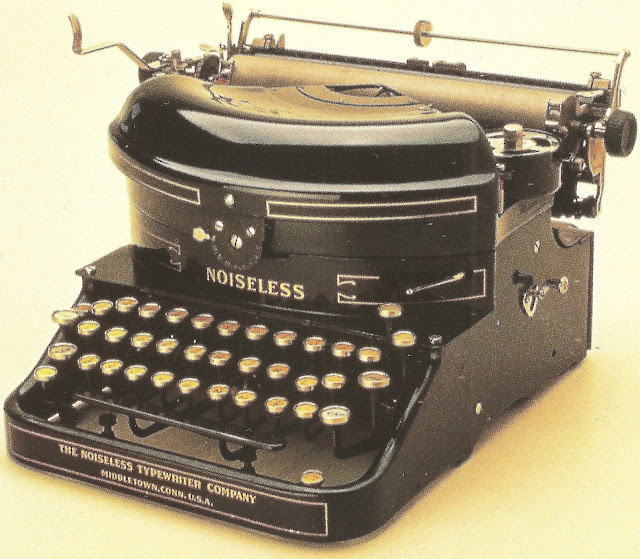 The Noiseless was now the Remington Rand Noiseless. A 1930 advertisement in The Saturday Evening Post claimed a Remington Rand representative had saved another company $17,000 in construction costs. 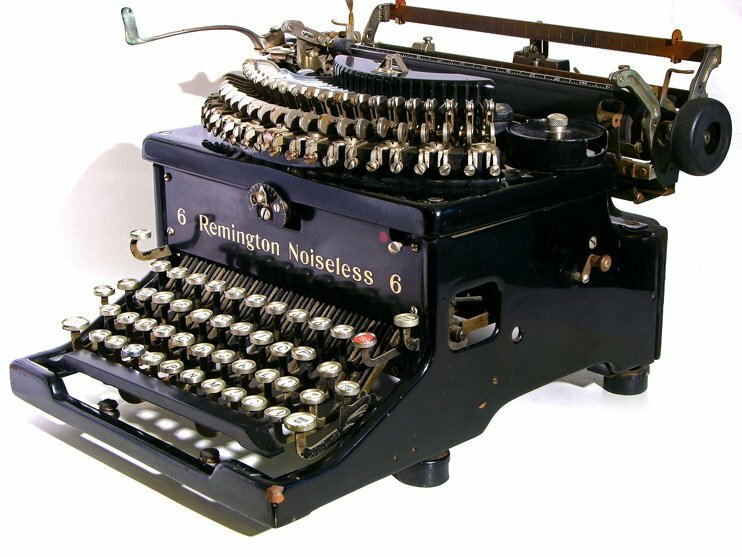 By using the Remington Rand Noiseless typewriter, this latter company had found it could do away with additional interior walls to block office sound. 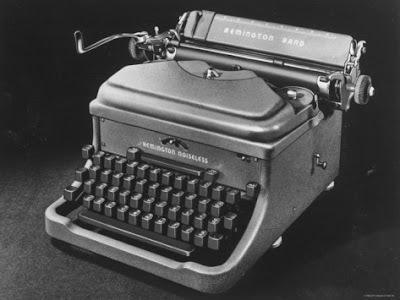 Of George Gould Going’s 32 Noiseless typewriter patents – for standards and portables – six ended up being assigned to the Remington Noiseless company and another 20 to Remington Rand. This blog just clocked a quarter of a million pageviews. Wow! What can I say? 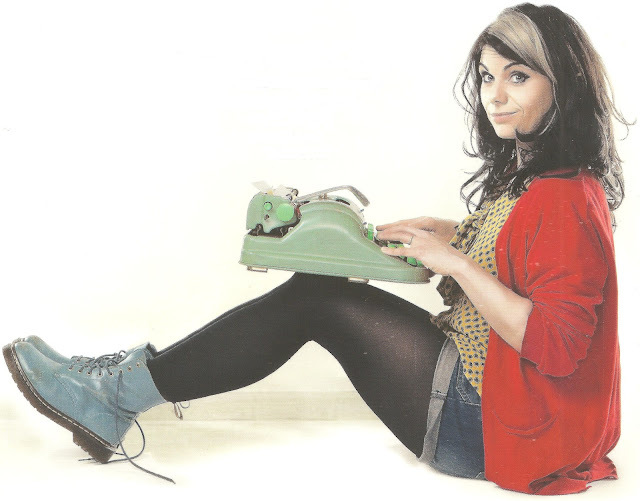 Except 'Thank you' to everyone who takes an interest in typewriters. And keep on typing! 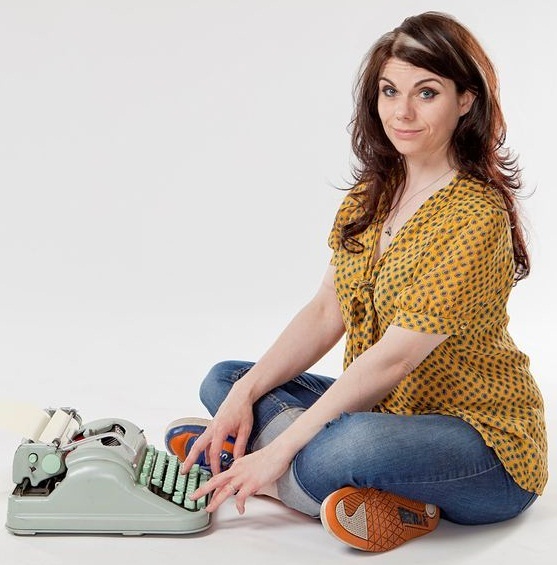 Caitlin Moran (born in Brighton on my 27th birthday, April 5, 1975, as Catherine Elizabeth Moran) is a British broadcaster, TV critic and columnist at The Times. On this day in 1902, Hidalgo Moya applied for a US patent for the typewriter we know as the Moya Visible. 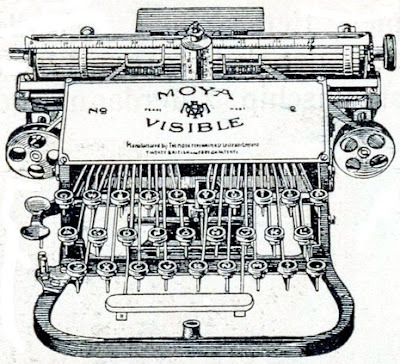 Moya’s place in typewriter history was secured by his subsequent, typebar-class designs, those for the Imperial Models A and B, upon which Moya started work in 1908. Yet, as boldly radical as these compact typewriters were, with their detachable keyboard and typebasket, they still failed to make serious inroads into British and Continental markets that were dominated by much more mainstream machines. 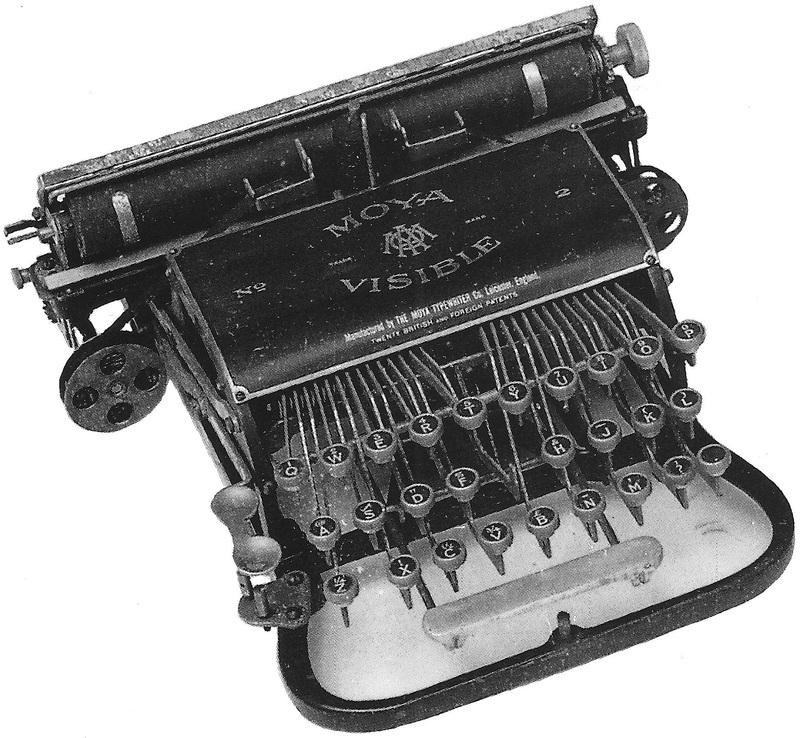 In other words, ultimately, Moya’s Imperials didn’t really change a thing, they were no more than a passing diversion in the course of typewriter development. 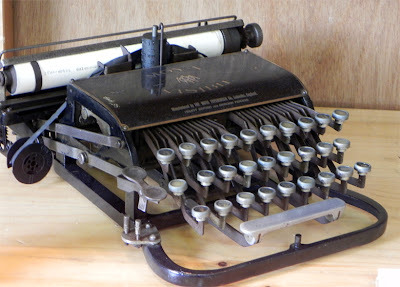 So what has perhaps appealed most to typewriter collectors and historians about Moya’s typewriters is just that they were - like Hammonds, Olivers and Blickensderfers before them -different. 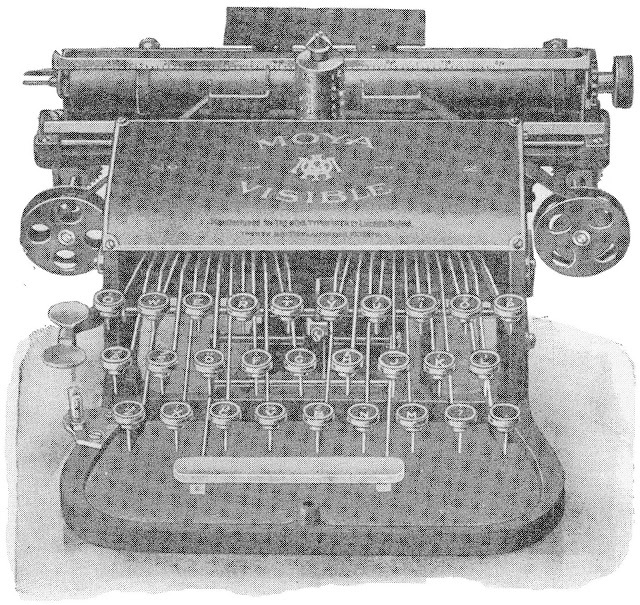 The Moya story indicates that he arrived in England from the US at the turn of the 19th century determined – if he was going to put his name on his own typewriter - not to simply follow the path of applying technical advances to existing, conventional designs, but to come up with something entirely new: to join that upper echelon with James Hammond, Thomas Oliver, Franz Wagner and George Blickensderfer. 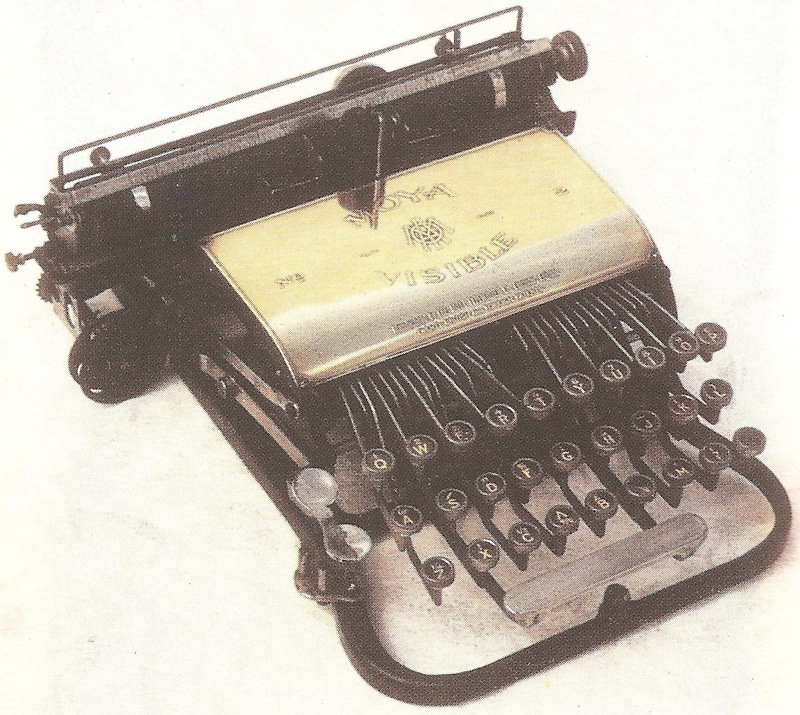 Among the things Moya toyed with in his earliest typewriter design was a type-disk – or, as we know it today, a daisywheel. 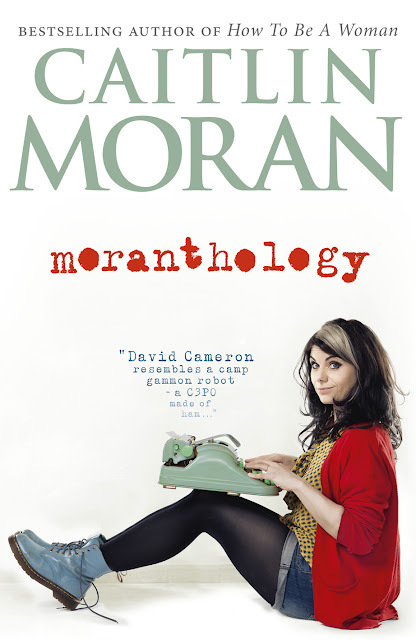 Moya may have been prepared to make violins along well-established Mirecourt or Strativarian lines, and try out conformist means of manoeuvring and propelling air-balloons. But when it came to typewriters, his aim was to take a walk on the wild side. 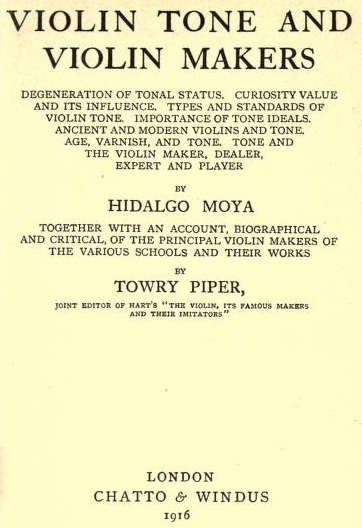 As well as being regarded as something of a genius in typewriter design, Moya also patented an airship (“aerial vessel”) in 1910 and was a Mirecourt-trained violin maker who in 1916 co-authored a book called Violin Tone and Violin Makers: Degeneration of Tonal Status, Curiosity Value and Its Influence, Types and Standards of Violin Tone, Importance of Tone Ideals, Ancient and Modern Violins and Tone, Age, Varnish, and Tone, Tone and the Violin Maker, Dealer. Together with an Account, Biographical and Critical, of the Principal Violin Makers of the Various Schools and Their Works. According to Wilf Beeching in his Century of the Typewriter, Moya’s hot-air balloon was deemed a failure after it crashed into a tree. Like his balloon, but unlike so many other great typewriter inventors, Moya’s Halcyon days were relatively short-lived, covering a period of, at the very most, 14 years, from 1901 to 1915. He departed the scene, leaving England, and the Imperial company he had established with it, to return to his native US even more abruptly than he had arrived. In typewriter terms, he was never heard from again. As for the typewriter for which Moya applied for a patent on this day 110 years ago, the inventor was at pains to point out in the introductory paragraph of his specifications that the Visible, aka the Moya 2, was designed to be a distinct improvement on his first typewriter. The Moya 1 was not a commercial success, despite meeting at a targeted five guineas market price, as it was said to be “uneconomical to produce”. But it seems Moya did not need to see the sales figures to know it could be improved upon. 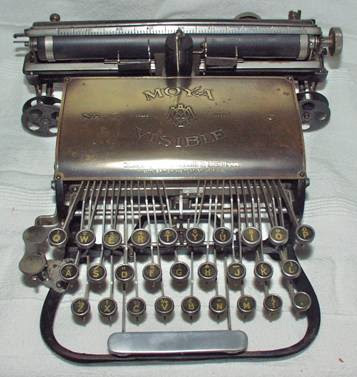 Moya had applied for a patent for his first typewriter on January 10, 1902, and just 8½ months later put in this second application. Quiet aside from the mechanics, and adjustments to allow more visible typing, Moya went for a more stylish look, adding a top cover and a bar winding around the front of the machine. Will Davis and the late Tilman Elster, on the European Typewriter Project, say the Moya Visible “displays the revisions to design that allowed the machine to have some sales success in England, as well as license-built success in France and Germany. Still, the design was not one which lent itself to large market share, as typebar machines were, for the most part, the most well-accepted for general use (particularly in the profitable office machine sector). Moya decided to develop a new machine, and obtained working capital from investors. 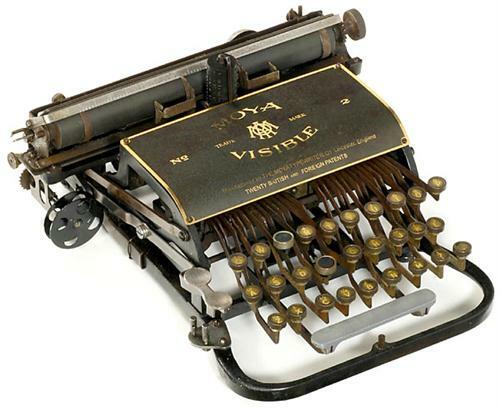 This led to the formation of the Imperial Typewriter Company in 1908.” Thus the Visible and the Moya 3 only had, at best, three-year and two-year production lives respectively. Moya did meet greater success with these typebar machines and Imperial forged on with them for another 13 years – interrupted only by the First World War. The Model A was followed by the B in 1915 and the D in 1919. But October 1915 marked the end of Moya’s input into Imperial designs. From the beginning of the Imperial company in 1908 and the consequent step-up in production following six years of Moya-labelled machines, Imperial had found itself restricted by difficulties in recruiting British staff with any typewriter-making expertise. 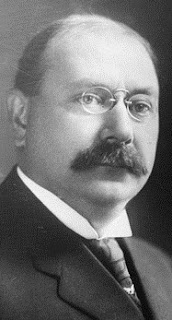 In 1910 Imperial managed to track down a Swedish-born mechanical engineer called Eric Julius Pilblad (born Köping, April 12, 1880; died 1963), who was at that time working on a Canadian government contract with the Sutherland Rifle Sight Company in New Glasgow, Nova Scotia. 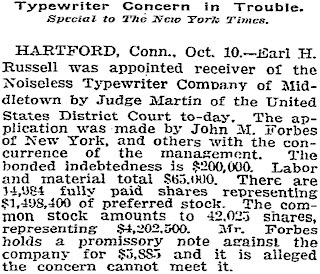 Pilblad, who had immigrated to the US in October 1900, had apparently had considerable experience working in the typewriter industry in America. In 1911 Pilblad began working alongside Moya, and later with an English engineer, Arthur Tomlinson, before returning to the US in 1925. As if so often the case in such enterprises, the changes at Imperial came about because, in order to get itself established and to expand, it had sought fresh capital. 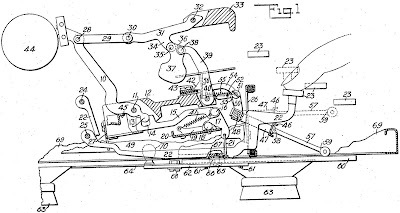 Until 1908, Moya and his father-in-law and backer, John Gordon Chattaway, had run the Moya company on their own, with Moya designing and overseeing the building of machines and assigning half the rights to his patents to Chattaway, as a way of reimbursing Chattaway for his investment. When further financial support was required, the new investors naturally demanded a say in the way the company operated. Both Joseph Wallis Goddard and Goddard’s brother-in-law William Arthur Evans were successful businessmen in their own right (like their friend Chattaway) who were members of hugely successful business families (the Goddard name still appears on silver polish). Evans immediately took over as Imperial board chairman, a position he was to hold until his retirement in 1933. His son, Roger Martin Evans (1907-1967) became works director, chief production engineer and a board member. One of the demands of Goddard and the senior Evans was that Imperial recruit someone of the calibre and experience of Pilblad to be its works manager. Moya was sent back to the US in 1910 to talk to Pilblad and convince him to decamp to England. Another demand was to design and build a new, much larger factory, which Goddard did on East Park Road, North Evington, the year Pilblad arrived. The changes led Imperial in an inevitable direction, as Goddard and Evans ensured their investments were not just safeguarded but enhanced. 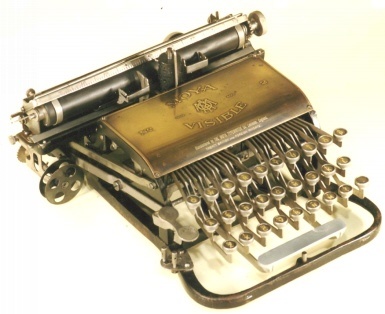 And so it was that in 1927 Imperial finally joined the mainstream by starting to make conventional standard-sized typewriters (the first was the Model 50, seen below) and the following year a small portable. As Goddard and Evans took control, the influence of founders Moya and Chattaway rapidly waned. Typewriter historian Michael Adler quoted “contemporary sources” as saying Moya (“the greatest authority on the mechanism of the typewriter in Europe”) had gone to work as British agent for the Stearns Visible typewriter. 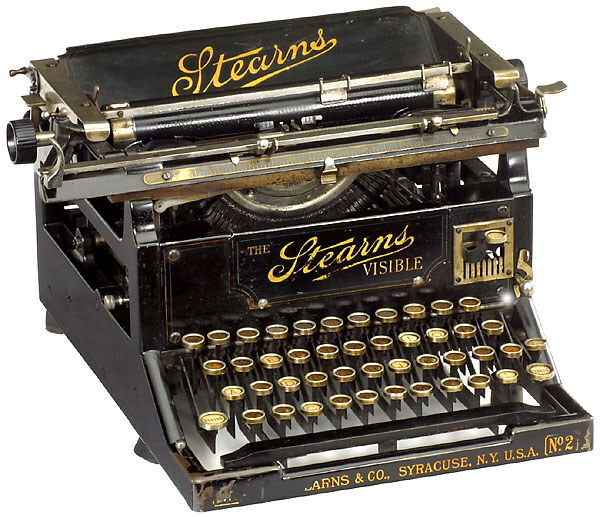 If this is correct, Moya would have either joined or succeeded George M.Moore, who switched allegiance to Stearns in 1909 after 18 years with Williams typewriters in Europe. Certainly, by 1919, Moya’s involvement with the Imperial company had long ended and he had returned to the US with his English wife, Sophia. Moya is such a fascinating character that it’s a real shame we don’t know a lot more about his pre-Leicester days and his life beyond Imperial. Moya, who preferred to be called Dalgo rather than Hidalgo, was born Hidalgo Moye in St Louis in 1862 (other sources say 1863 and 1864). 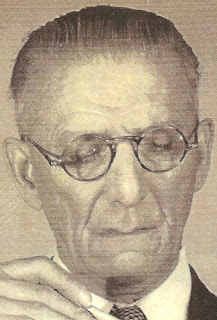 He was the son of a Mexican-born watchman, John Moye. In 1880 Hidalgo was working in St Louis as a clerk. By that time his mother was deceased and his father had remarried, to a much younger woman, Anna, and started a new family. Moya must have reached England some time before 1901, as in that year's British census he is listed as already living in Leicester. He was sent to England as a representative for Wykoff, Seamans and Benedict to sell Remingtons. As English typewriter collector and historian Richard Milton points out in his chapter on Moya in The Typewriter Sketchbook (general editor Paul Robert), there are also a couple of references in earlier typewriter histories to Moya having worked for Hammond. The romanticised version of ensuing events that I like to tell at typewriter presentations is that, while travelling around Britain trying to flog Remingtons, Moya reached Leicester and met wealthy bookmaker Chattaway. Chattaway took pity of the travelling man and invited him to share a home-prepared dinner at Chattaway’s Westcotes Lodge mansion. There, Moya met Sophia. There’s no evidence to support this story, but it’s a nice thought anyway. 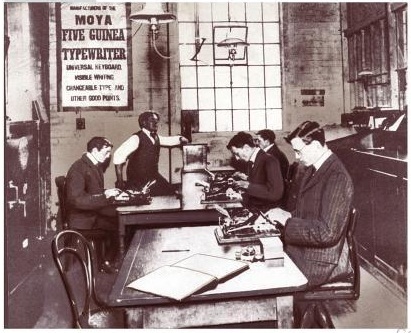 Whichever way it came to be, in 1902, with the backing of Chattaway, Moya opened the Moya Typewriter Company factory on Garton Street, Leicester. This is the small Garton Street workshop in about 1902. Dalgo Moya can be seen, with his sleeves rolled up, in the background. 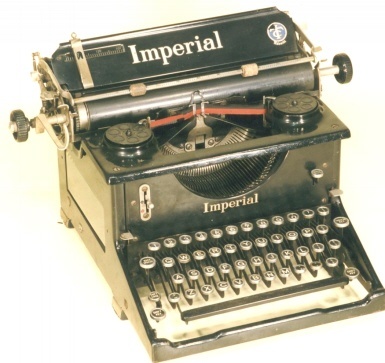 The name change from the Moya Typewriter Company to the Imperial Typewriter Company came through an agreement reached between Moya and Chattaway. 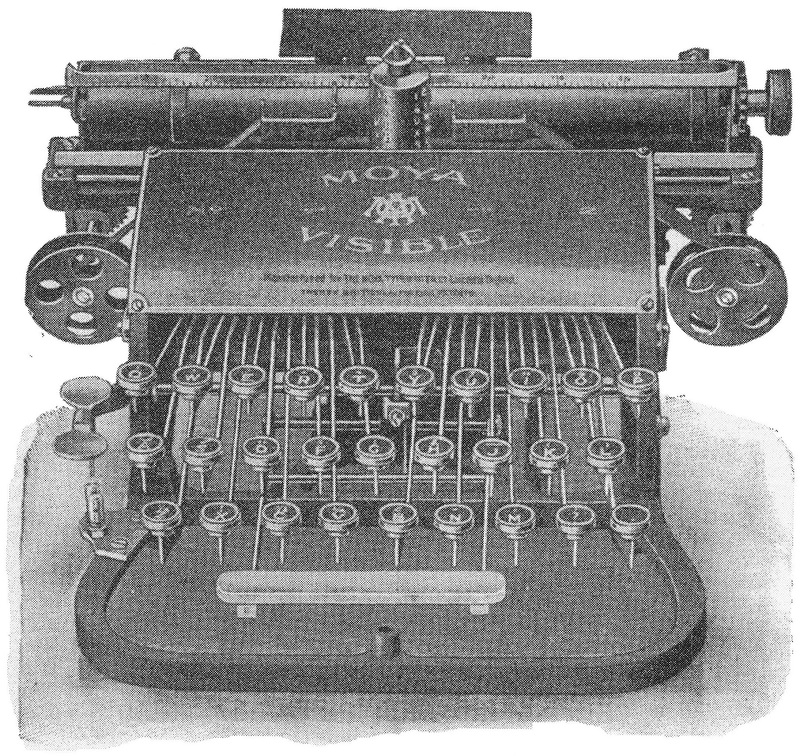 Official documents show that the deal, signed on June 22, 1908, was for the “sale and purchase of the Moya Typewriter Company” by Chattaway for £20,000. At the exchange rates of the day, that would probably have amounted to more than $US50,000. Though Chattaway was by then Moya’s father-in-law, he was just 10 or 11 years his senior. Chattaway was born in Earlsdon, Warwickshire, in 1854, the son of Thomas Chattaway, a writing master. His daughter, Sophia Lillian Chattaway, Moya’s future wife, was born in Leicester in 1883. John Chattaway died on November 16, 1936, aged 82. 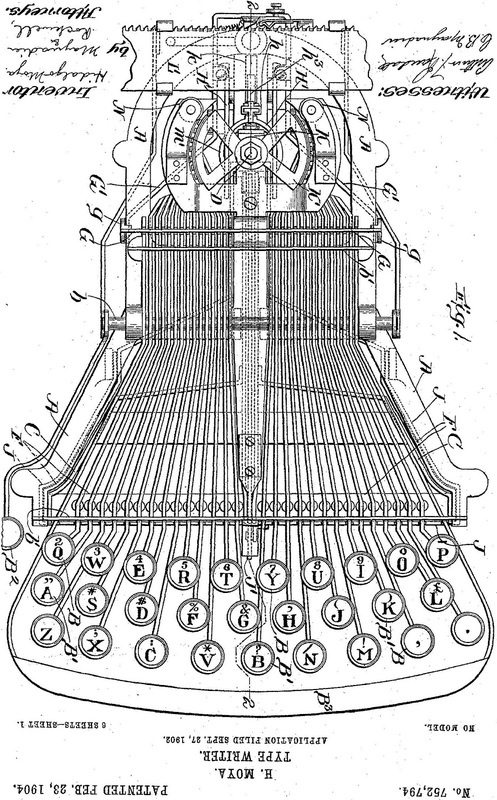 With the name change, Goddard and Evans entered the typewriter business. Joseph Wallis Goddard was born in Leicester on February 16, 1852, the son of the pharmaceutical chemist who invented Goddard’s silver polish. 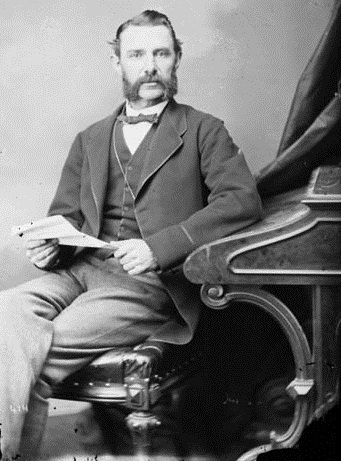 Joseph Wallis Goddard was trained as an architect. He died on April 9, 1927, aged 75. William Arthur Evans was born in Belgrave in 1865. He took over his father’s steam-powered corn mill before focusing his efforts on the Imperial company. Meanwhile, by 1911 Hidalgo and Sophia Moya had settled in Aylestone Holt, Leicester, and had a daughter called Georgia Mary, born in Leicester in late 1910. Georgia does not appear to have lived beyond childhood. Moya and Sophia left England and went to live in California, where their son John Hidalgo Moya was born (in Los Gatos, south of San Jose) on May 5, 1920. Sophia returned to England without her husband but with her young son at the end of 1929, and the next year had her British citizenship restored. She lived in Bournemouth and died in Leamington on March 22, 1964, aged 81. The fact Sophia did not return to England with Moya suggests Moya had died in obscurity in his native America, some time between 1920 and 1929. If Moya did die in obscurity, his son certainly did not. John Hidalgo “Jacko” Moya became a world-famous architect. He grew up in Britain, where he studied at the Royal West of England College of Art and the Architectural Association School of Architecture, and formed an architectural practice with Michael and Philip Powell. This team designed the Chichester Festival Theatre, the Skylon Tower, Churchill Gardens in Pimlico, Northbrooks in Harlow, the Museum of London, Christ Church Picture Gallery, Oxford, and Wolfson College, Oxford. The younger Hidalgo Moya died in Hastings, England, on August 3, 1994, aged 74.